Napoleon Hill - "Don't wait. The time will never be just right." During the last few months, I have been doing a lot of reading of the recent studies of research into baby/child brain development. Research now suggests that a baby’s brain will not develop correctly without the correct stimulus. Makes sense I hear to say. So what is the most important stimuli? 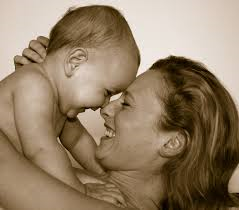 Well hugging, holding, making eye contact, allowing your child to know it is loved, which in turn will allow your child to develop attachment to you and to others, seems to be the biggest and most important. Again, makes sense. Now I am not a child psychologist, but what I see here on many occasions, are people needing that same stimulus; the need to be held, listened to (with eye contact) and to feel they are cared for, even if they have only popped in for a manicure! Simply, that we are born with the desire/need to be loved and that lasts our lifetime. Today, as you go about your day, make sure you make at least one person feel loved. Now I am not sure if that will change anyone’s brain development but it will make a difference – I promise!